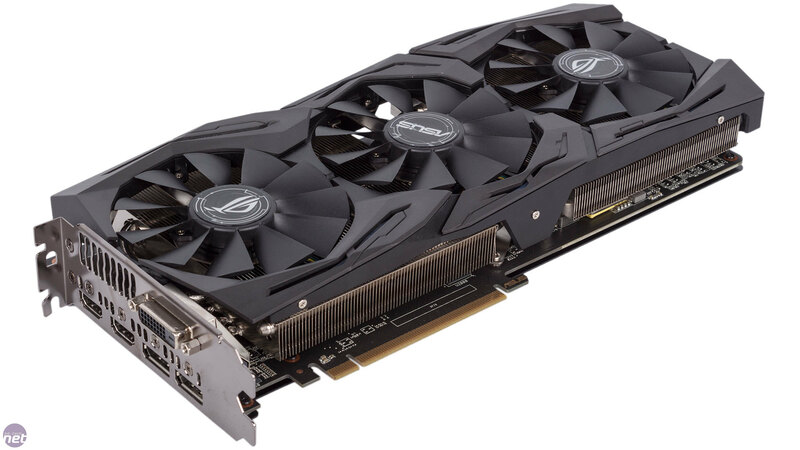 Asus's current generation Strix cards are by now very familiar to us, as we've seen the GTX 1060, GTX 1070 and GTX 1080 variants already. That said, we've not seen an AMD-based Strix card with the current crop of GPUs until now, but the theory is the same. 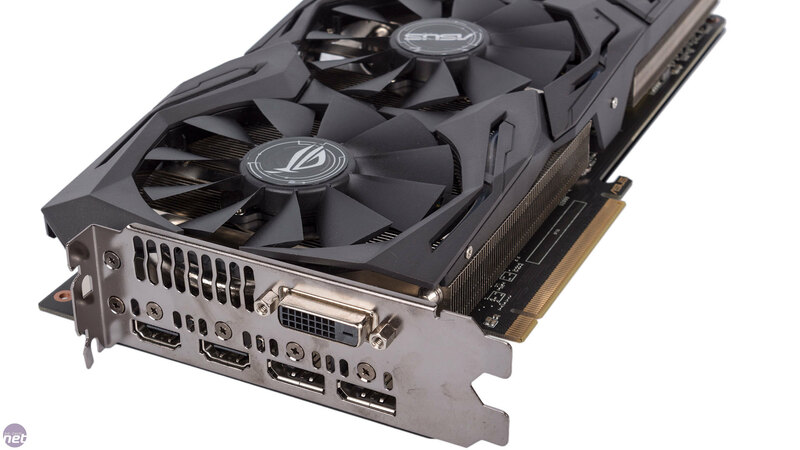 They're designed to be the best of the best with high performance and packed with features – when it comes to GPUs, Strix is Asus's no-holds-bars product, and that's no different with the RX 480 Strix OC 8GB. As we've seen before, such an approach inevitably comes at a cost. 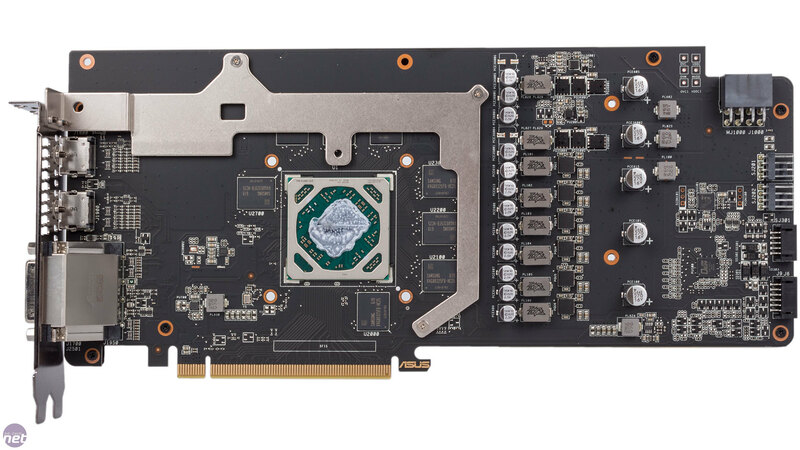 This is the most expensive RX 480 card on the market at £285. This is partly the result of it being an 8GB SKU rather than a 4GB one, but even so basic RX 480 8GB cards come in at around £45 less. 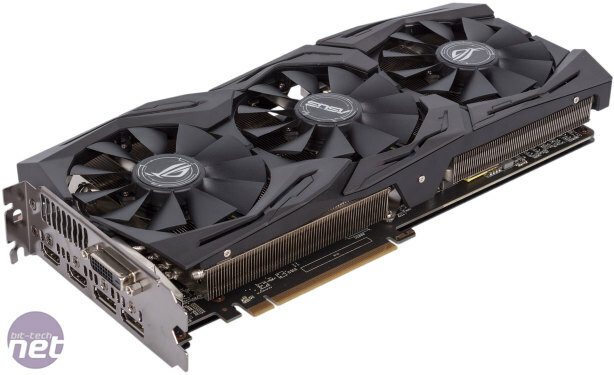 That puts this card at a markup of nearly 20 percent, which is substantial but not unbearable or unreasonable assuming it delivers the goods, and it's a less drastic price hike than we saw with the GTX 1060 variant. Still, custom SKUs from other board partners are typically £270 or less, although Asus does produce a second, non-overclocked variant of this card for a few quid less than this one. Supplied in the box is a couple of Velcro cable ties to sweeten the deal, as well as a one-year Xsplit Gamecaster premium license, which currently goes for $60 ($5 per month; about £48 in total), which is potentially valuable if you're into your streaming. As this is the overclocked SKU, the boost frequency has been increased from 1,266MHz to 1,310MHz, although this can be increased to 1,330MHz by hitting OC Mode in Asus's GPU Tweak software. There's very little reason not to do this, so as ever this is the speed we've tested at. This is a 5 percent increase, which isn't bad as the RX 480 isn't really a great overclocker. Still, XFX and Sapphire both offer cards with ever so slightly higher peak frequencies. In truth, the real-world difference will be virtually zero, especially as the RX 480 is typically power-limited and doesn't maintain its peak frequency, but it's still a shame that the priciest RX 480 cannot also claim to technically be the fastest. More of a shame is the fact that the memory has also been left at the stock frequency of 2GHz (8Gbps effective). 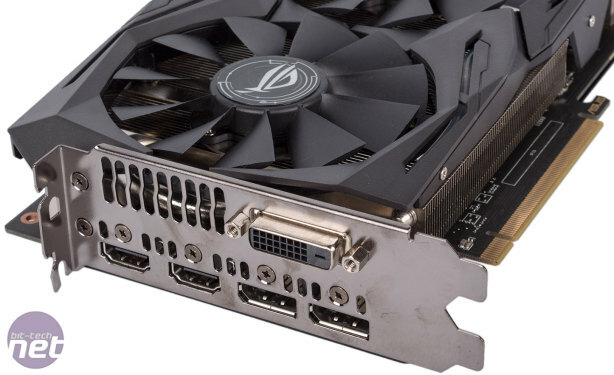 The RX 480 Strix is both long and tall, things which you'll need to consider if you have a cramped case, although not something that should pose a problem for most modern cases. 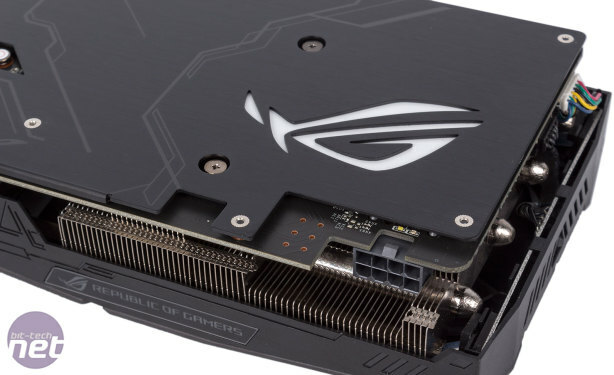 Asus has upgraded the reference design's 6-pin PCI-E connector to an 8-pin one and it is helpfully tucked in the PCB so that the connector and cable protruding from it won't add much to the card's height. Build quality is great – it would be nice if the shroud were metal rather than plastic, but it's rigidly fixed regardless and the sturdy metal backplate is a bonus too. 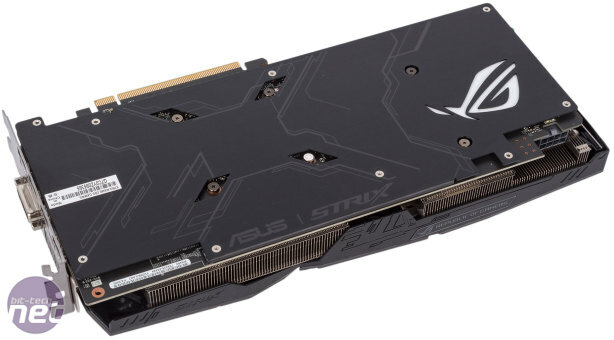 The all-black design is sensible given Asus's abundant use of RGB lighting with this card – the front of the shroud has RGB LEDs, as does the backplate, and these are nice and bright too so you can show the card off in any case with a window. Asus's Aura software controls the colour and effects of these LEDs so you can match it to the rest of your system. 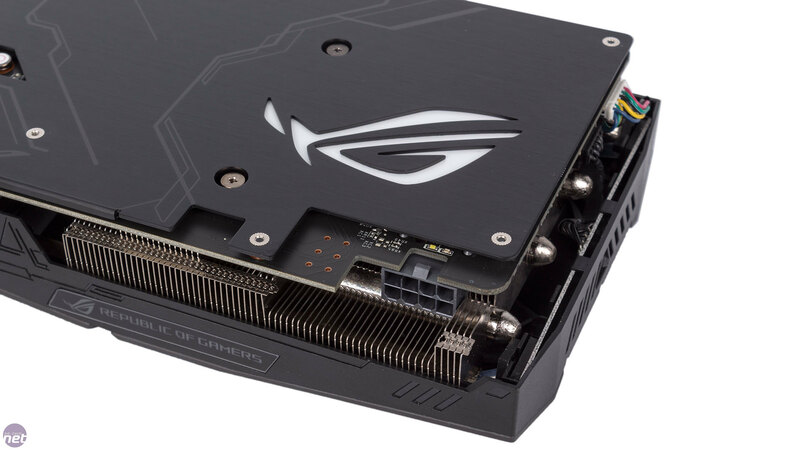 For display outputs, Asus uses the same connectors we've seen elsewhere in the Strix family, replacing the third DisplayPort header with a second HDMI port. The benefit is that it allows you to leave a VR headset connected at the same time as a HDMI display – a neat idea given that the RX 480 is certified as a recommended GPU for the HTC Vive and Oculus Rift headsets. 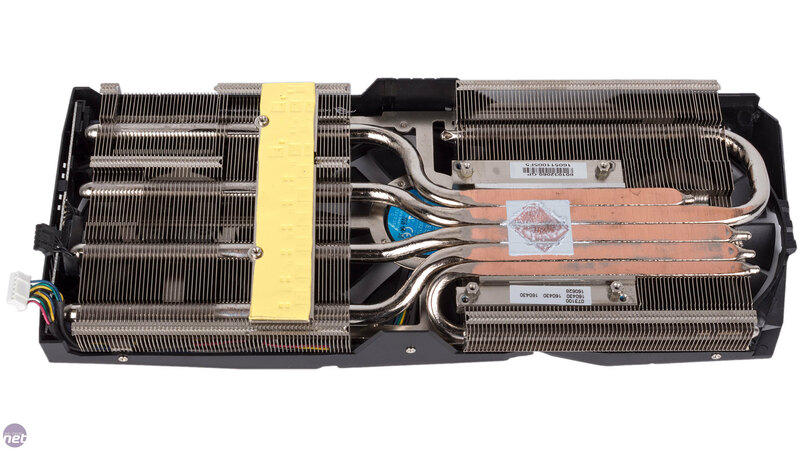 The DirectCU III cooler strapped to the card is a real beast: Five direct contact heat pipes (four 8mm, one 6mm) feed two large heatsinks which are in turn cooled by a trio of Asus's Wing-Blade fans. The secondary heatsink is also used to directly cool the MOSFETs via thermal padding, although the majority of the GDDR5 memory chips have no direct cooling, unfortunately. The direction of the heatsink fins also means that some heat will be directed straight at your motherboard, which isn't ideal. 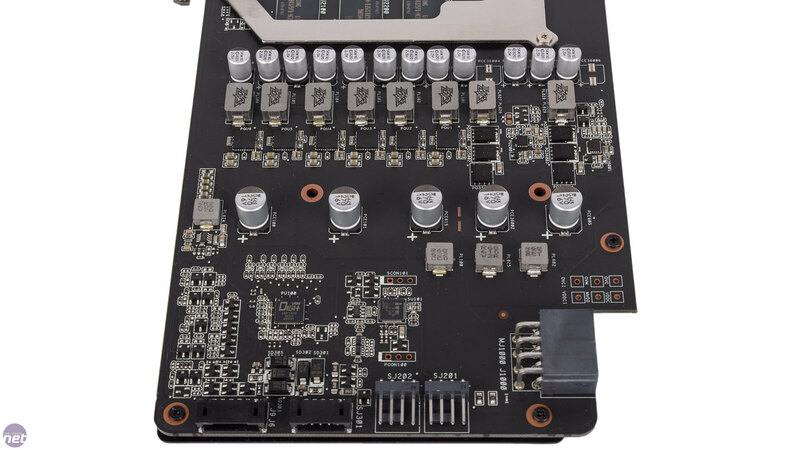 Note also that only the three inner heat pipes make true contact with the GPU. Even so, the sheer size means this cooler should be a substantial upgrade over the reference cooler in terms of noise and thermals. Something we can definitely praise it for is being semi-passive, ensuring total silence when you're doing non-gaming tasks or even with light gaming workloads. A feature that remains unique to Asus is FanConnect. 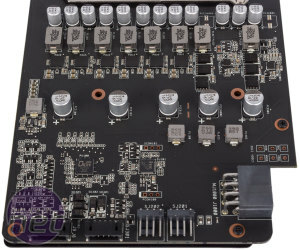 With this, you get a pair of 4-pin fan headers on the side of the graphics card which can control the speed of case fans based on the GPU temperature. It's a neat idea, especially if you're really into thermally optimising your system, and it's also able to stop fans completely when the GPU fans are switched off. The PCB is manufactured using Asus's Auto-Extreme process, which is another way of saying that it is fully automated. Asus also uses its full set of Super Alloy Power II VRM components, with the chokes, capacitors and MOSFETs all receiving upgrades compared to 'standard' parts, with various benefits touted as a result like reduced buzzing noise, improved efficiency, lower temperatures and better overclocking potential. Voltage is supplied digitally by the Digi+ VRM controller and should thus be more accurate. 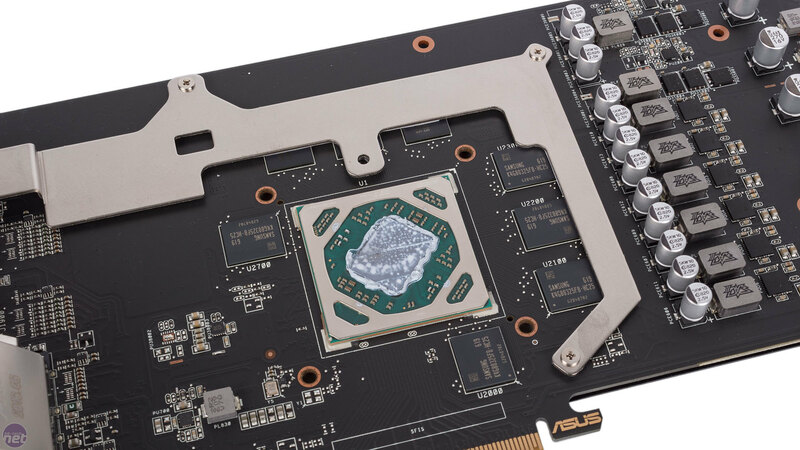 Asus is using a six power phases for the GPU – the same as the reference design – and two for the memory, an increase of one. 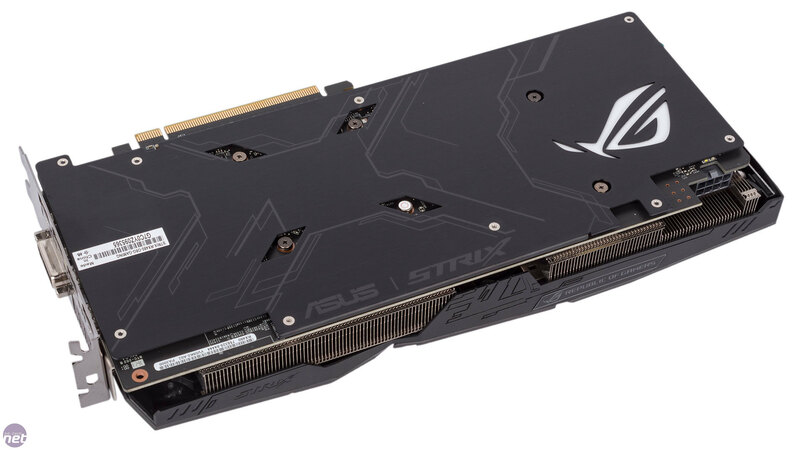 Asus gives the GTX 1080 the Strix treatment - this is one all-singing, all-dancing graphics card. Asus goes all-out on this triple-fan, overclocked version of the new GTX 1060.